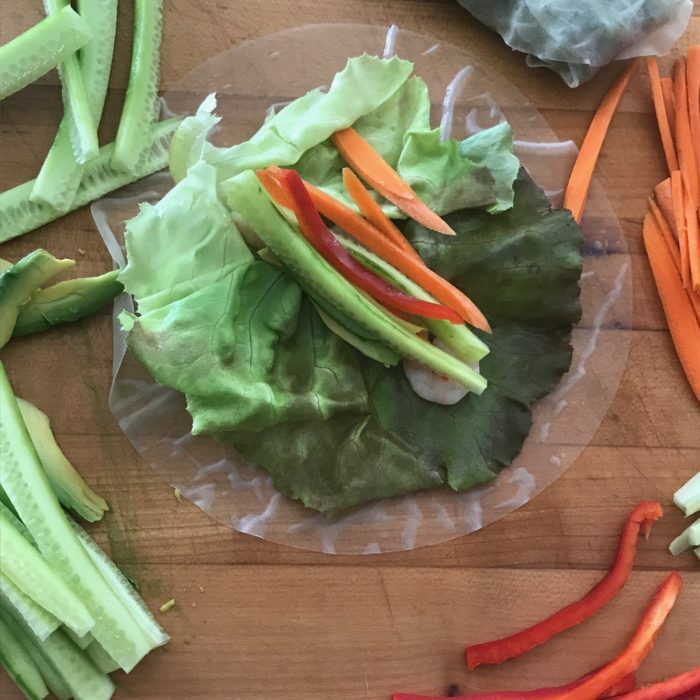 These spring rolls make a super easy and fresh dinner. Fill them with chicken tofu, shrimps or keep them vegetarian... The beauty of these is that you can fill them with whatever you want!! Get a bowl of warm water and soak the rice paper for 10-15 seconds until soft. Lay on a cutting board and fill with the veggies and protein of your choice and then roll tight folding in the side so everything stays in. Keep on doing until you have enough for everyone.